This I love. And my freshmen need it. This text is so much richer than the closing moments of High School Musical. Thank you for this, Chelsea! 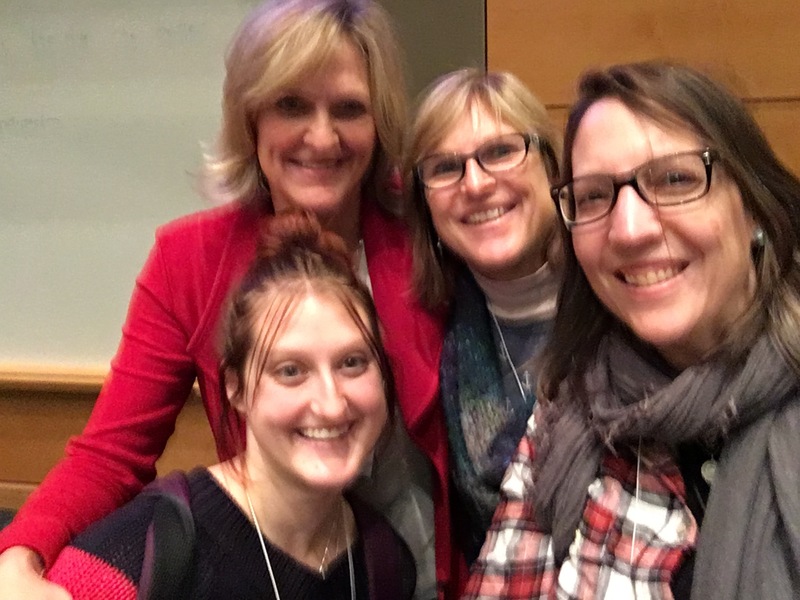 (Next was L.19, “Drop That Red Pen and Enjoy Teaching Writing: How Doing Less Work Will Make Your Students Better Writers” with Christine Pacyk and Laura Wagner from Wheeling High School outside of Chicago). 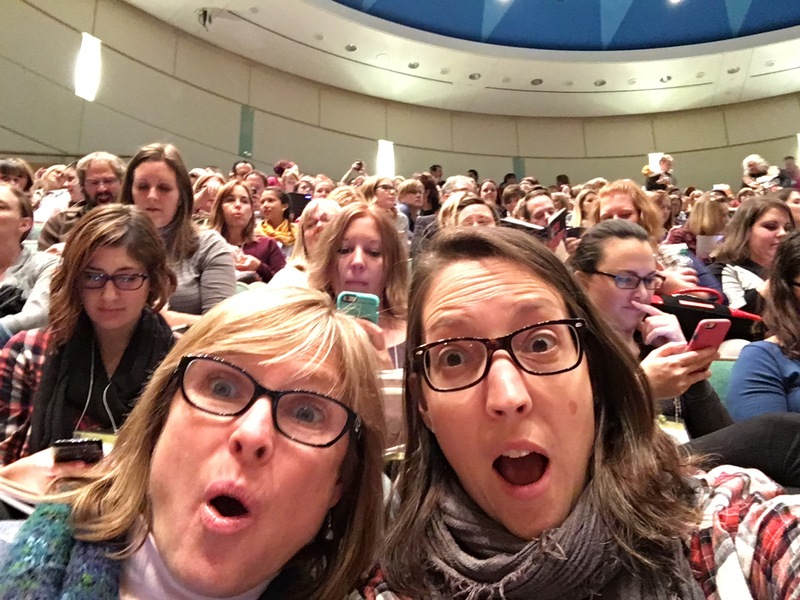 Despite our totally authentic-looking faces here, we’re not actually that surprised that the auditorium is so packed with people to hear Penny Kittle, Kelly Gallagher, and Donna Santman. 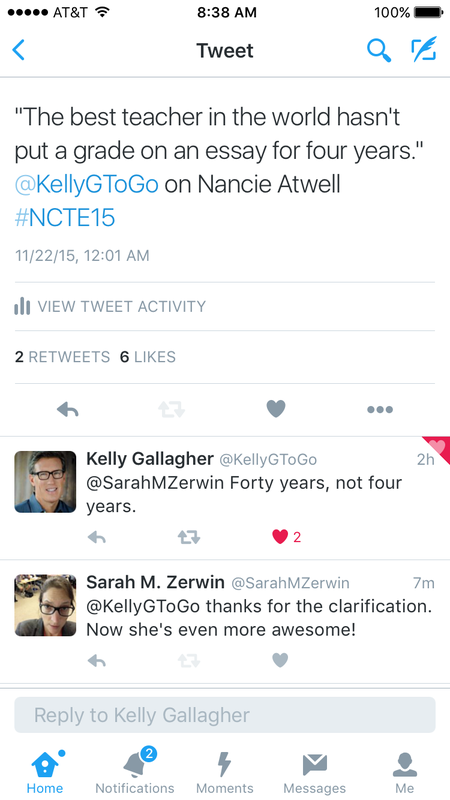 Next year, put them in the biggest room you’ve got, NCTE! Selfie with Penny and Christine, Jay’s student teacher, who was thrilled to meet Penny for the first time. Thanks, Penny, for the photo with us! Tomorrow afternoon we go back to Colorado. 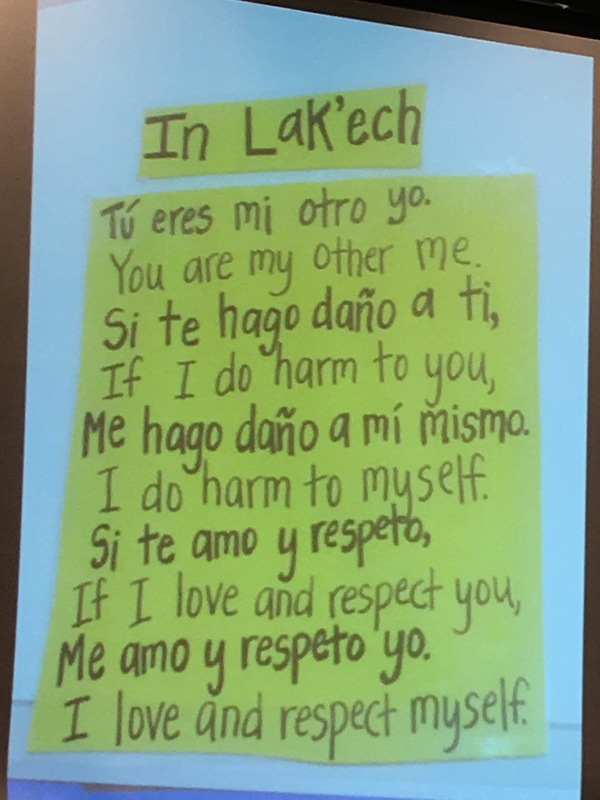 But before I get on the plane (if I can), I’ll write my last post: my top 10 (or maybe more or less) takeaways from NCTE 2015. Maybe it will be interesting for you to read. But more importantly, it will help me to write it. The things swirling, swirling, swirling in my thinking due to the conversations and presentations over the last few days–I hope to settle them and focus them with some writing. 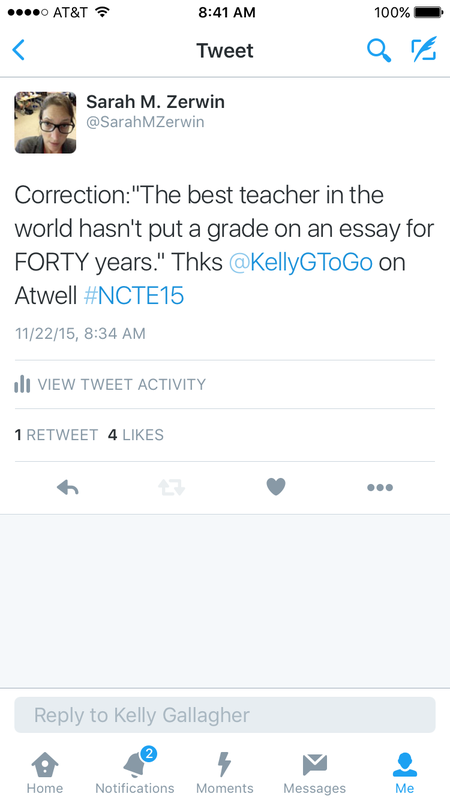 This entry was posted in #NCTE15, 21st century teaching and learning, collaboration, colleagues, education, grading, life and death, literacy, making change, muddling through, on the road again, professional development, reflections, things made of awesome. Bookmark the permalink.